There are few things that epitomize Halloween more than the candy corn. Those three colors together – orange, yellow and white – instantly make you think of everyone’s favorite Halloween treat. Not just for eating, this color combo is great for crafting. Don’t believe me, just take a peek at a few of my favorite candy corn crafts. 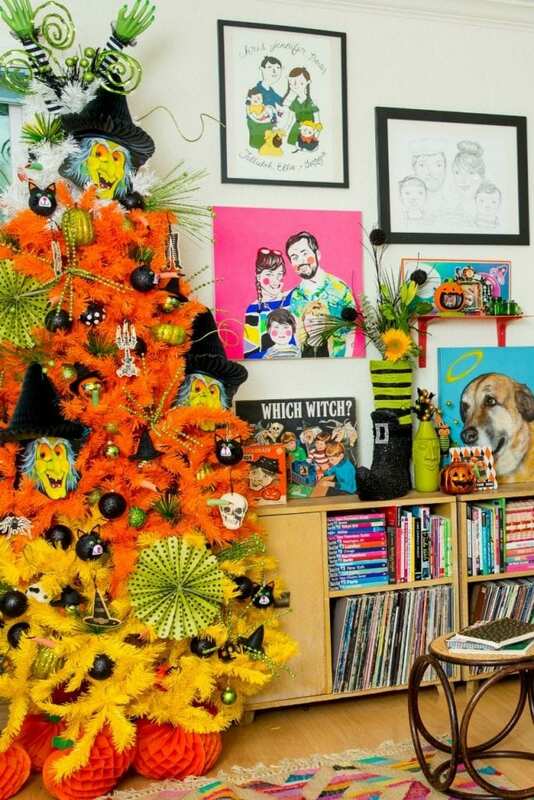 Not just crafts – as the brand ambassador for Treetopia I even have a Candy Corn Christmas tree! This thing of beauty has been featured on Country Living, A Beautiful Mess and more. Sure the company gave me mine, but what’s to say with a can of spray paint and an old white Christmas tree you could not make your own! 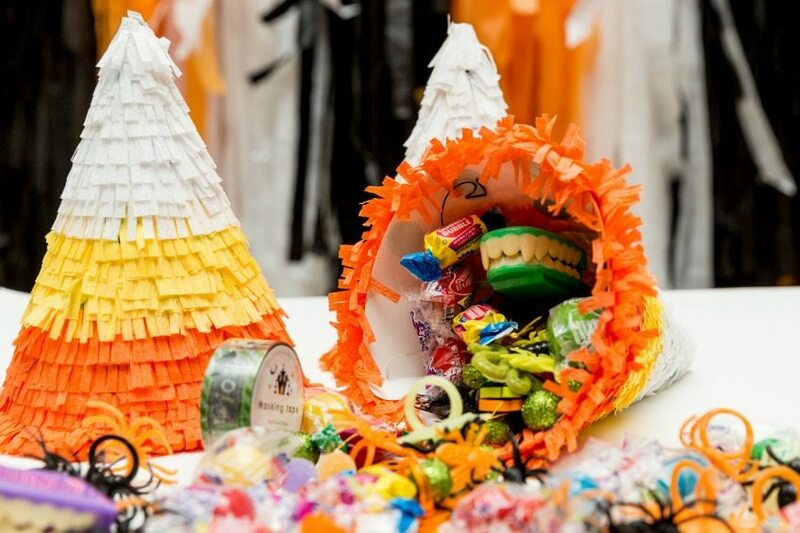 Candy Corn Pinatas – How cute are these single serve pinatas I made for DIY Network. Not all pinatas need to be jumbo sized, these cuties were made with streamers and party hats. Check out my video for DIY Pinatas Made from Paper Plates. 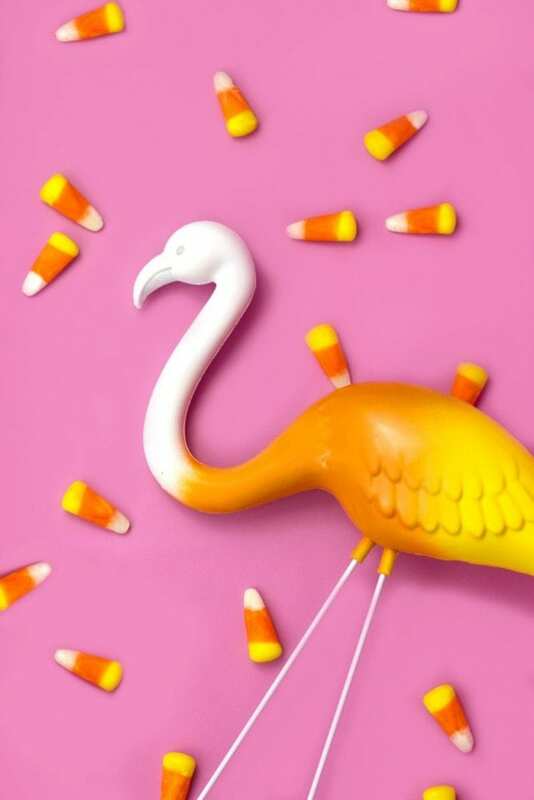 Candy Corn Lawn Flamino – Skeleton flamingos are so last year, 2017 is all about the candy corn flamingo and the creative genius behind the blog The Glitter in My Tea is showing you how. 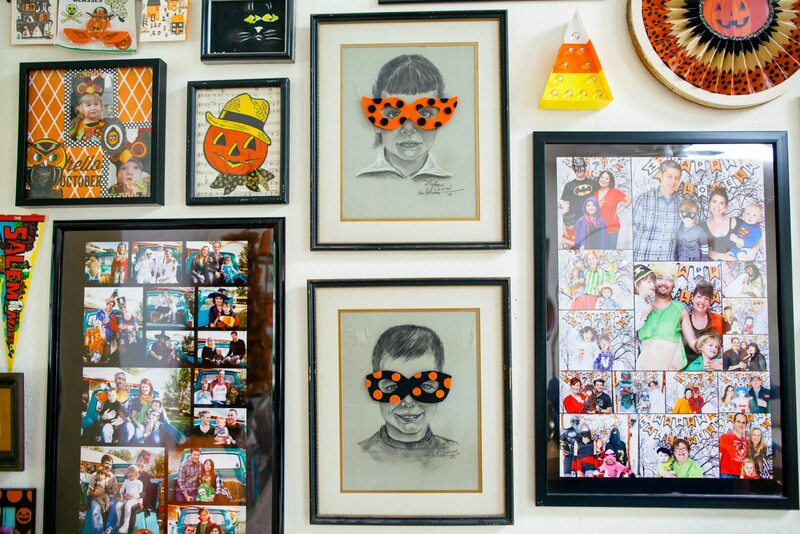 Candy Corn Marquee Lights – One time I was crazy enough to make an entire Halloween Gallery Wall for the DIY Network. Amidst this gallery were some DIY Candy Corn Marquee lights. What started as plain Heidi Swapp triangle lights were painted, flipped and transformed into a tasty treat for the eyes. Candy Corn Felt Board – Jennifer Priest is Keepin’ It Corny over on her blog Smart Fun DIY with this adorable candy corn colored felt board. I’m going to need to remake my DIY Felt Board for Halloween clearly. 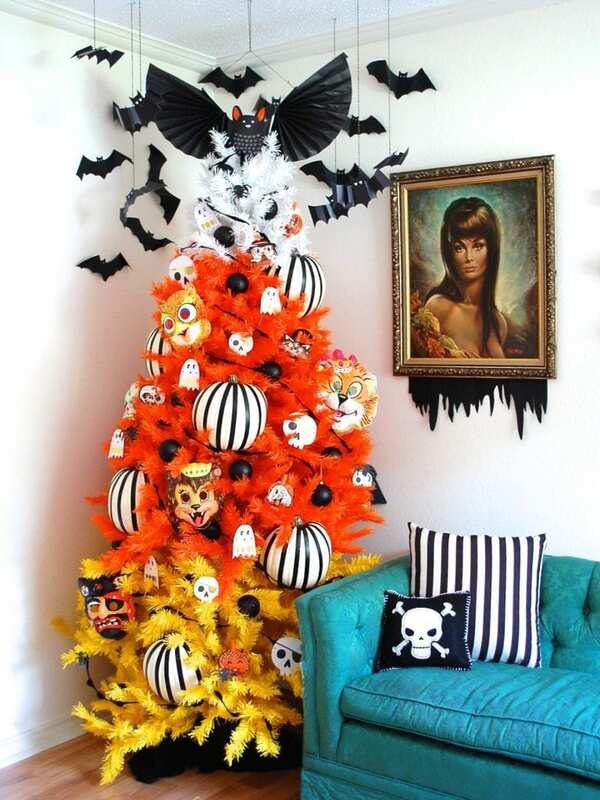 Candy Corn Tree – As I mentioned I’m the brand ambassador for Treetopia. Over on the Treetopia Blog (sponsored link) I’m sharing a few of my favorite candy corn trees through the years and let me tell you there has been more than one. I’ve even got a candy corn forest up this year! Candy Corn Pumpkins – Craft pumpkins are so versatile there is no reason they need to be orange. 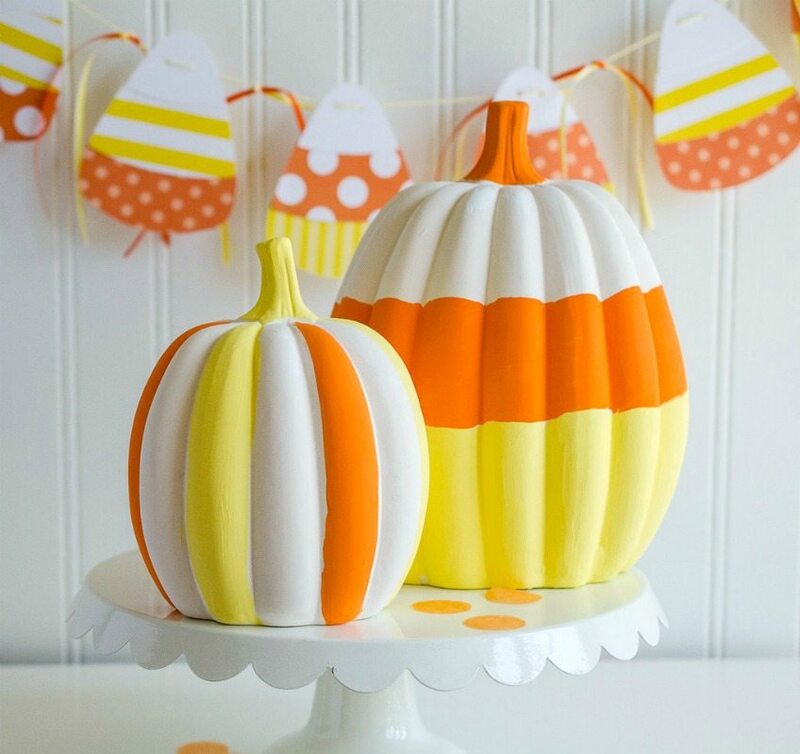 Fawn Parties guest posted for Love the Day with these adorable painted pumpkins. 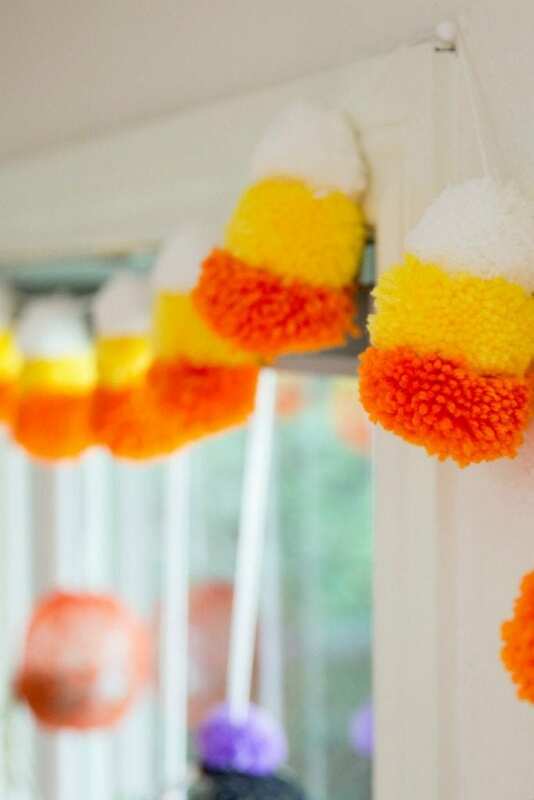 Candy Corn Pompom Banner – When you stack orange, yellow and white pompoms on top of each other and trim them just right – guess what – they look like candy corn. 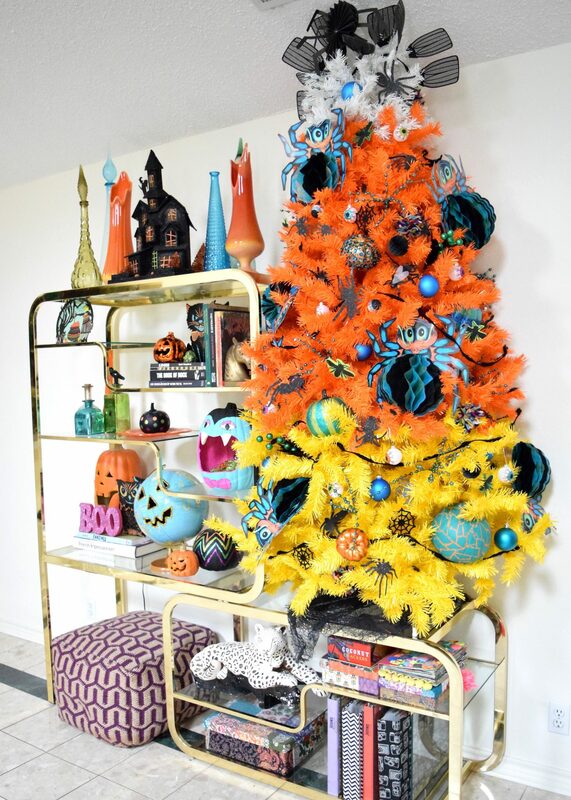 I’m sharing these fun Halloween pompoms over on the DIY Network. What’s that? You don’t know how to make a pompom? Don’t worry check out this post on how to make a Pompom Covered Throw Pillow. 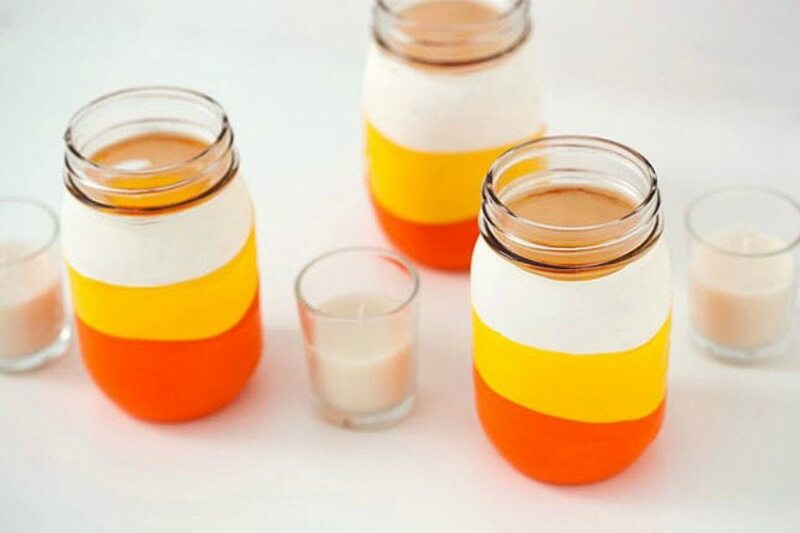 Candy Corn Mason Jars – The ladies at Brit+Co know how to get crafty and these adorable balloon dipped mason jars prove it. They even sell a kit so you can make your own. How handy! Candy corns – what is not to love? 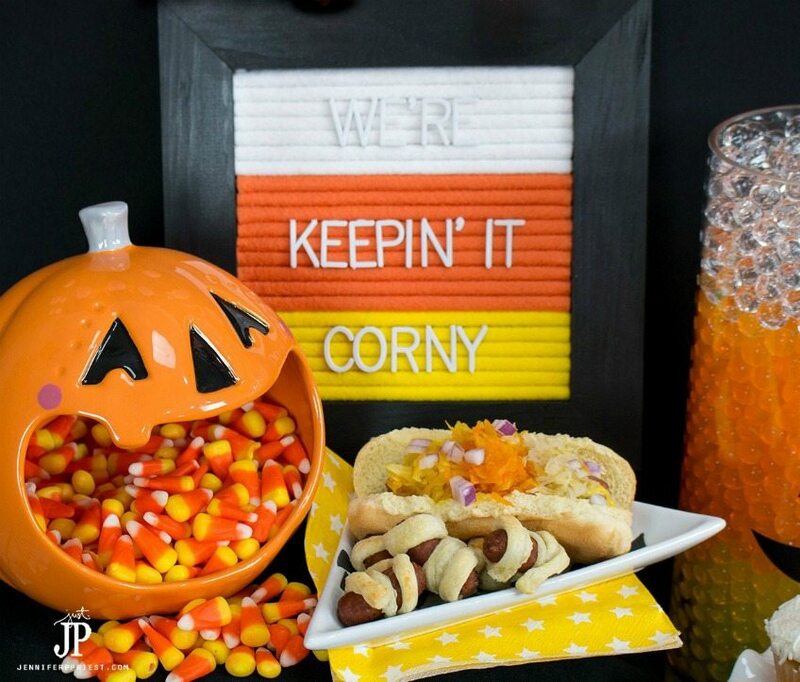 What are some of your favorite candy corn themed crafts? Since clearly I’m kinda obsessed! Posted October 4, 2017 & filed under Halloween, Holidays, Uncategorized.